So, it's not been a good month for Samsung. The Note 7 has had its issues, and usually I'm not one to really try to spread 'bad news', but it's absolutely impossible to not acknowledge the issue now. With the first run being exchanged and now a 'safe' device having the same issue (again, personally, I like to have a healthy dose of skepticism) that even Samsung has had to do something drastic. And can you blame them? What would you do? I tell my clients running businesses that the best customer service you can give is to acknowledge your customer's complaints and go over the top in making it right. With that, Samsung has announced that they are stopping all production of the device and have said that any customer with the device should power it down and stop using it. Pretty strong words. I hope Samsung can recover from this. Mississauga, ON – October 10, 2016 -- Samsung is working globally with relevant regulatory bodies to investigate the recently reported cases involving the Galaxy Note7. Because consumers’ safety remains our top priority, Samsung will ask all carrier and retail partners globally to stop sales and exchanges of the Galaxy Note7 while the investigation is taking place. At Samsung Canada we remain committed to working diligently with regulatory authorities, carriers and our retail partners to take all necessary steps to resolve the situation. Canadian consumers with either an original Galaxy Note7 or replacement Galaxy Note7 device should power down and stop using the device. 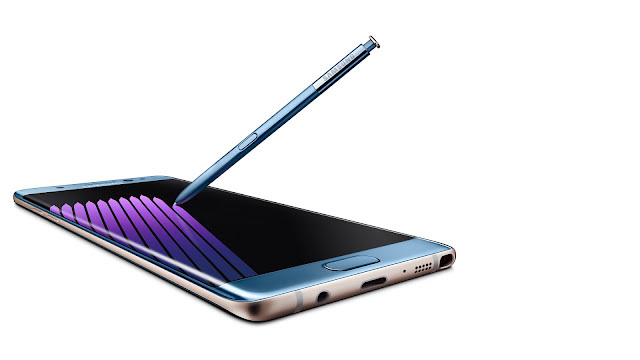 Details of the remedies available for Note7 customers, which will include a full refund at their place of purchase, will be announced shortly. For more information, Canadian consumers should contact 1-800-SAMSUNG.